Catherine from Linwood, Renfrewshire. Successfully passed her driving test first time at Paisley test centre. After taking driving lessons in the Paisley, Johnstone, Linwood and Elderslie areas. With local Paisley driving school car tuition. First of all Catherine sought out a professional driving instructor in the local Linwood area. Furthermore she listened and learned quickly. For that reason she progressed great and finally met her goal of passing her test well before her 17th birthday. 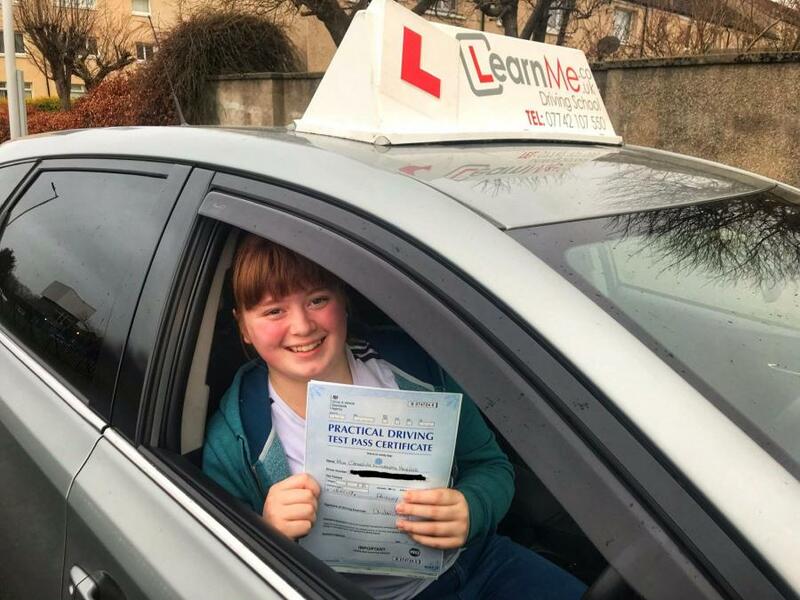 Taking her car tuition with local Linwood driving school she was also aware of the local area test routes. Also check out Catherines review in our reviews section of the website.